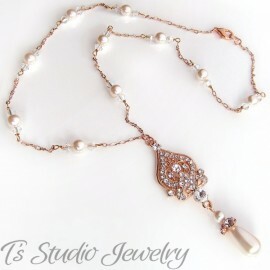 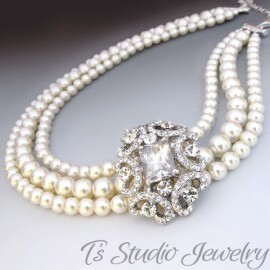 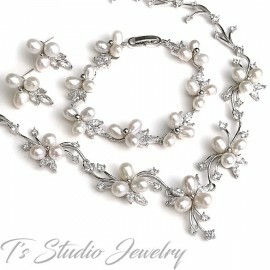 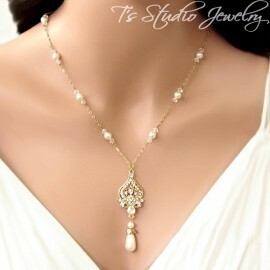 Elegant and ornate, this bridal necklace and earring set features exquisite silver plating, ivory freshwater pearls, clear rhinestones, and Swarovski crystals. 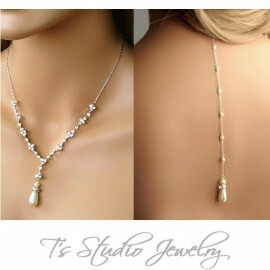 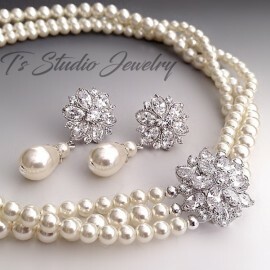 This set coordinates beautifully with your white or ivory wedding dress. 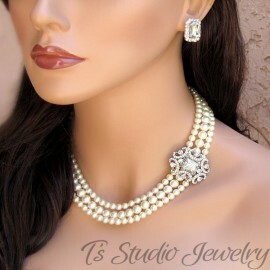 Matching hair accessory sold separately.